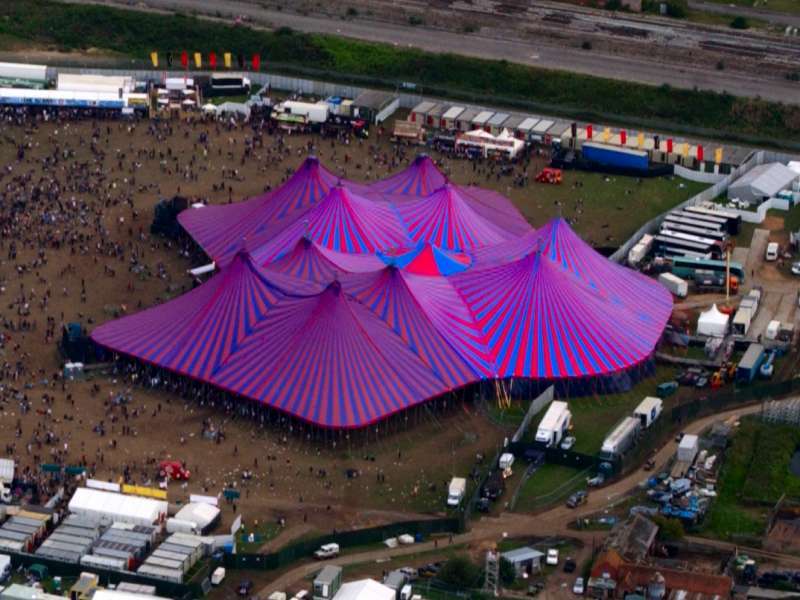 Designed by Rudi Enos, the MegaDome is owned and operated by Mobile Structures. 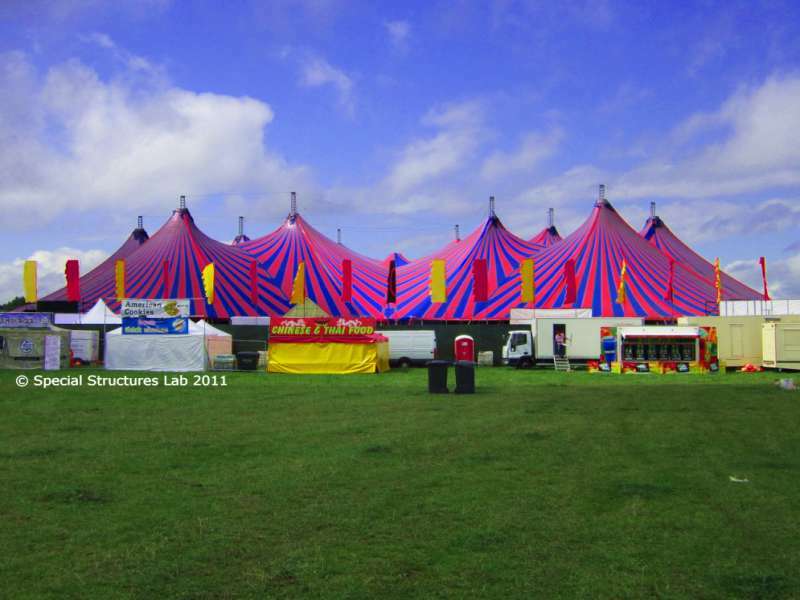 The structural work was done using NDN Membrane, a Finite Element Analysis software package used by Special Structures Lab Ltd which is a collaboration between Rudi Enos Design and Alan White Design. 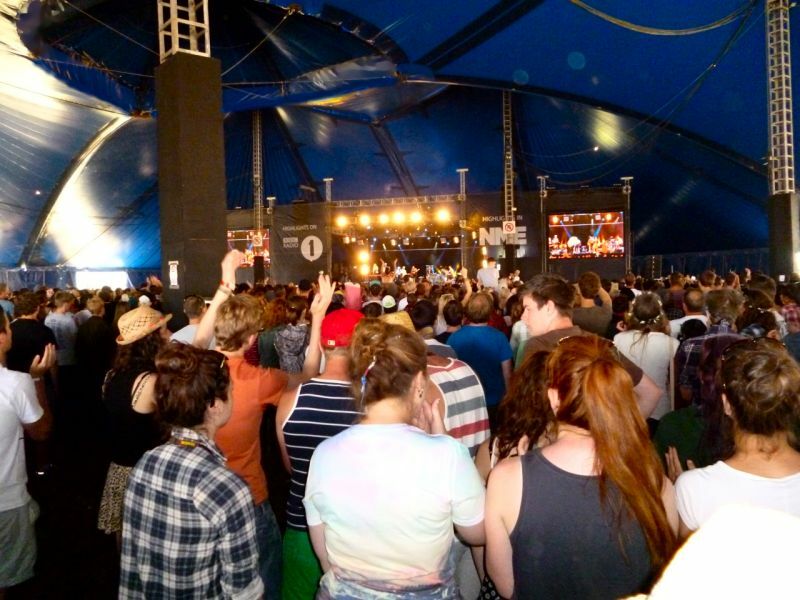 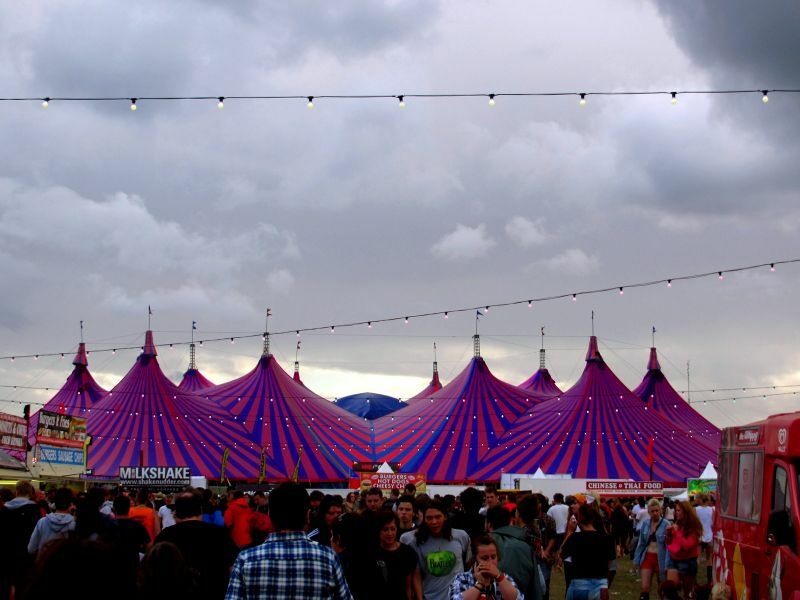 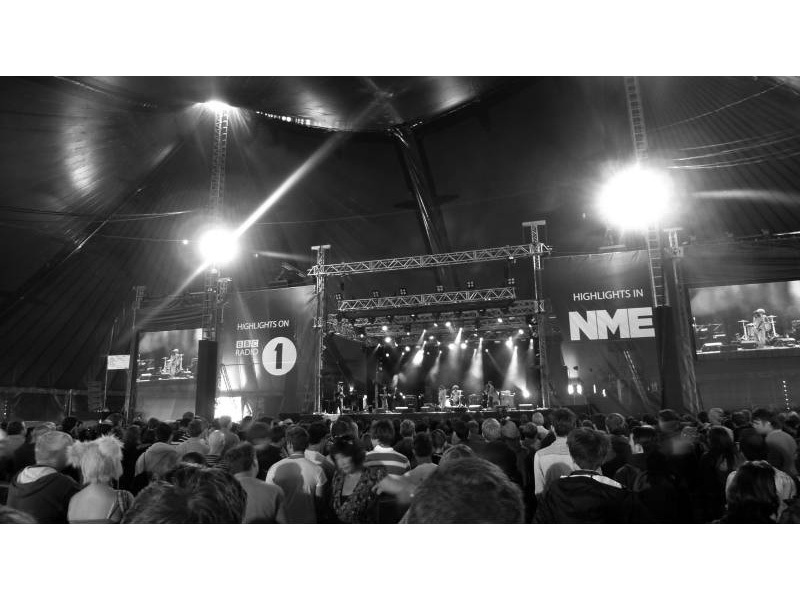 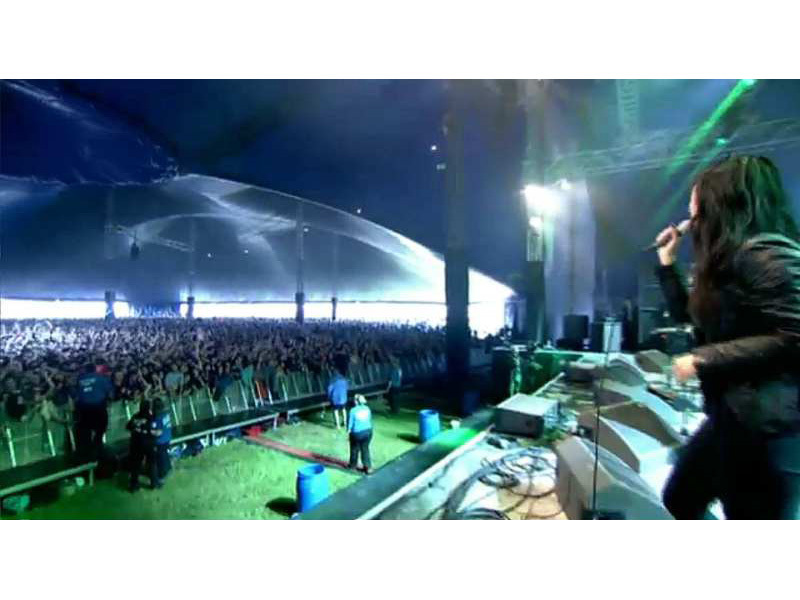 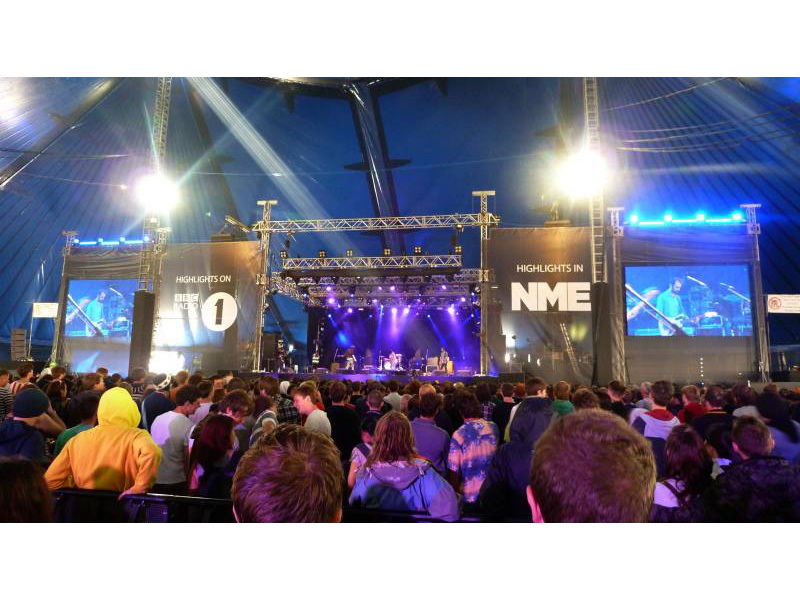 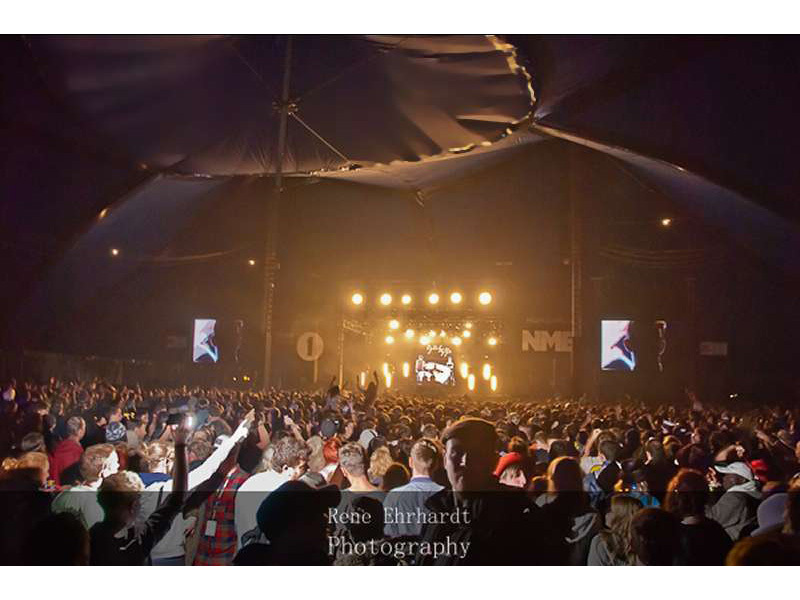 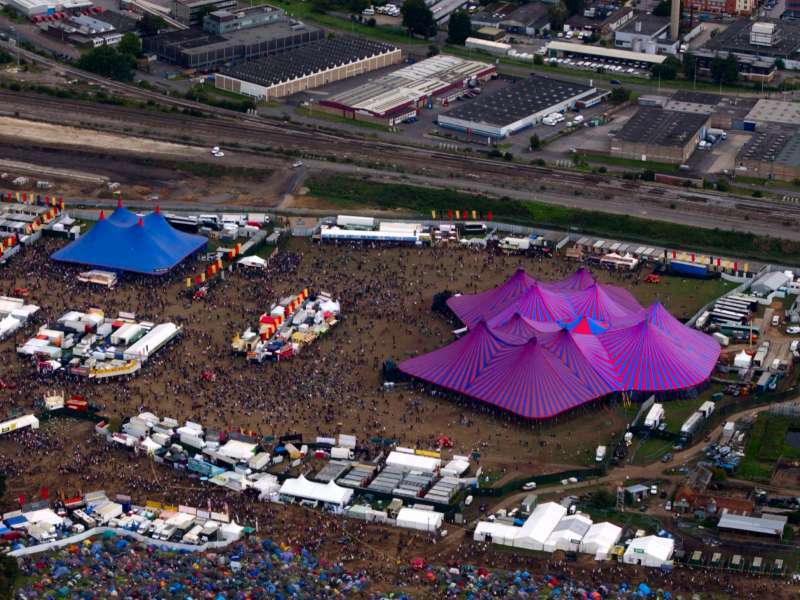 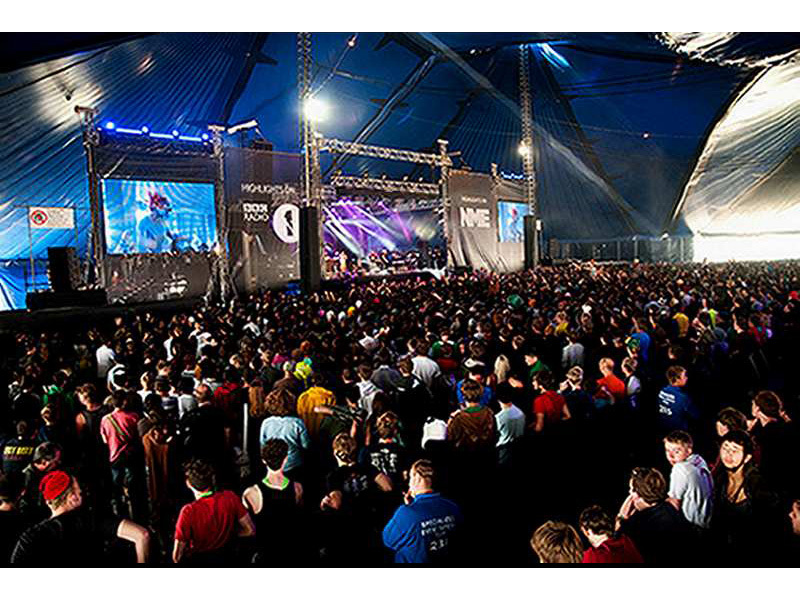 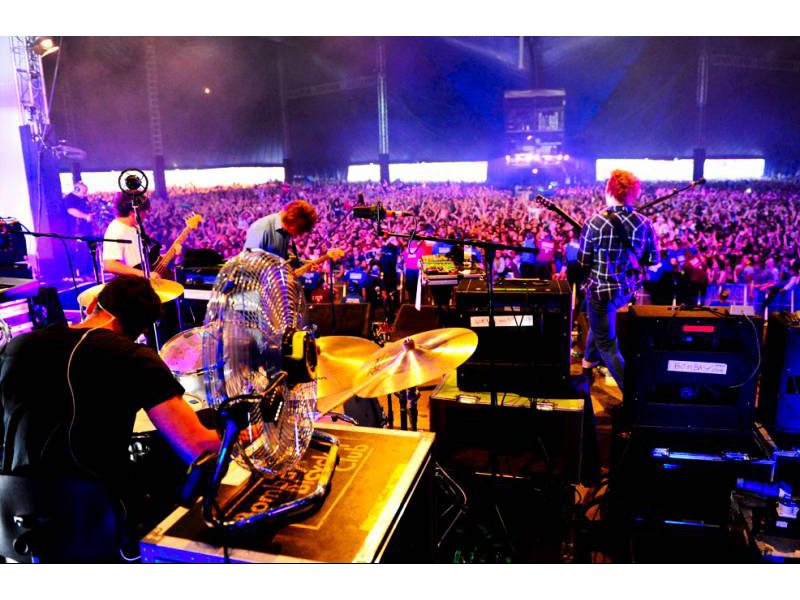 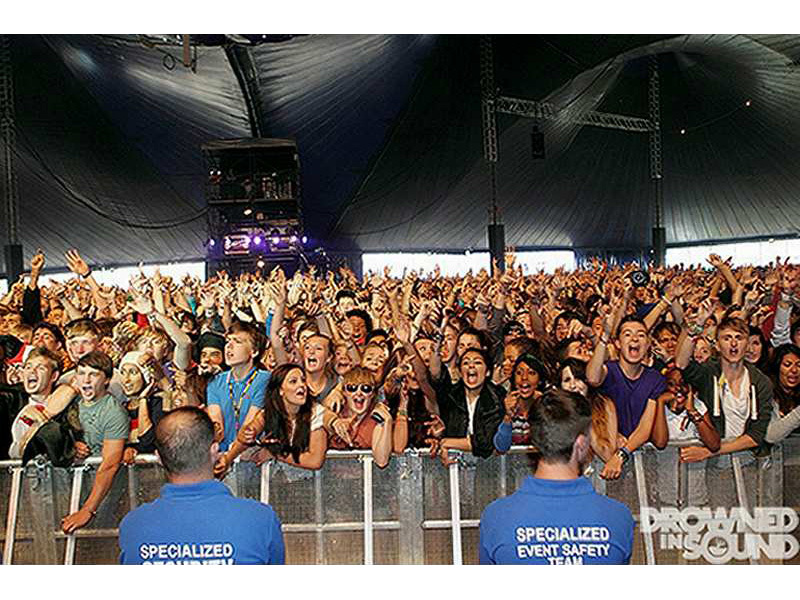 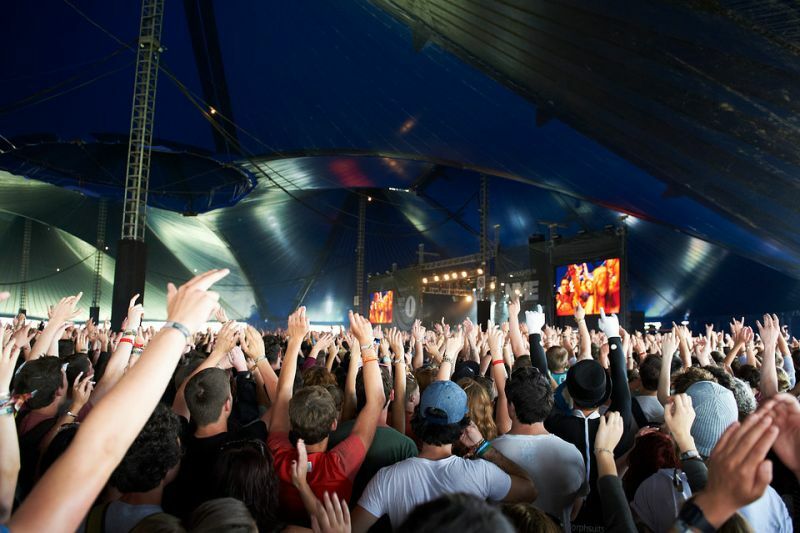 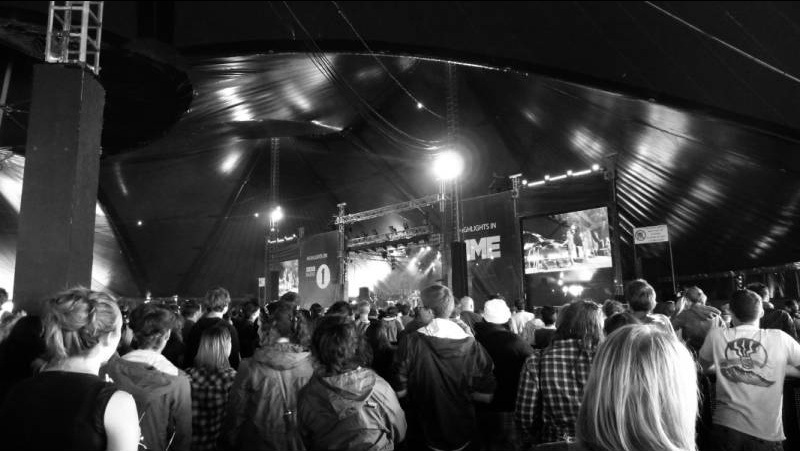 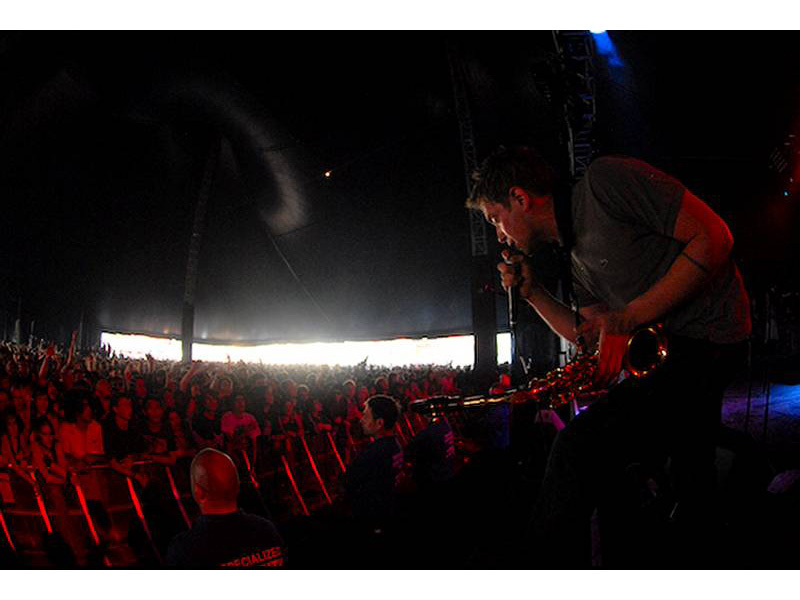 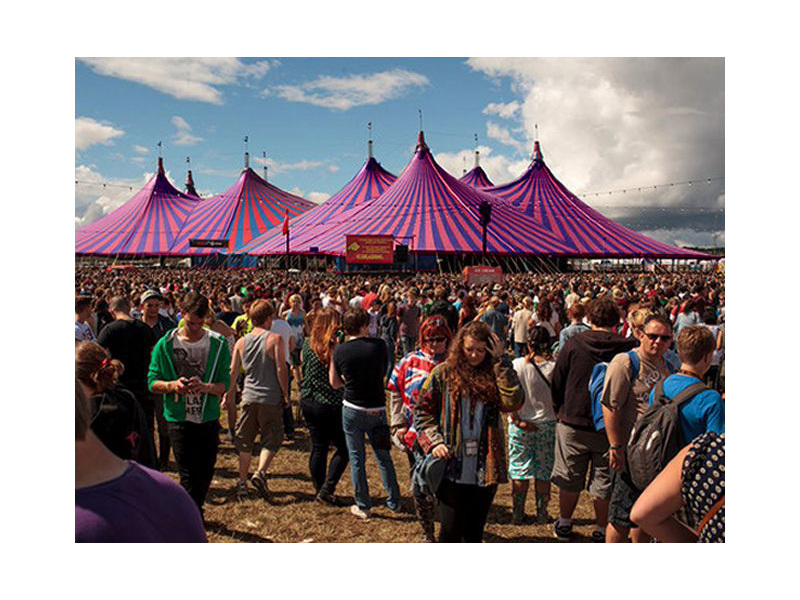 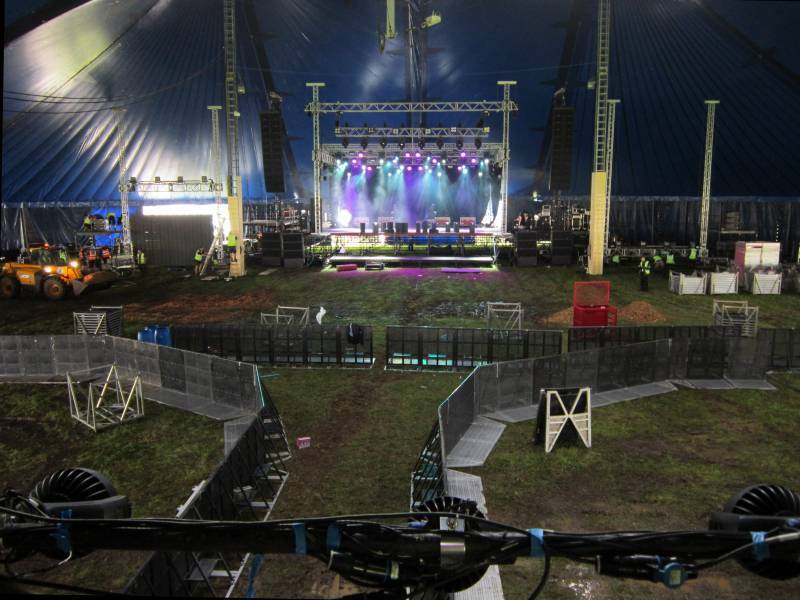 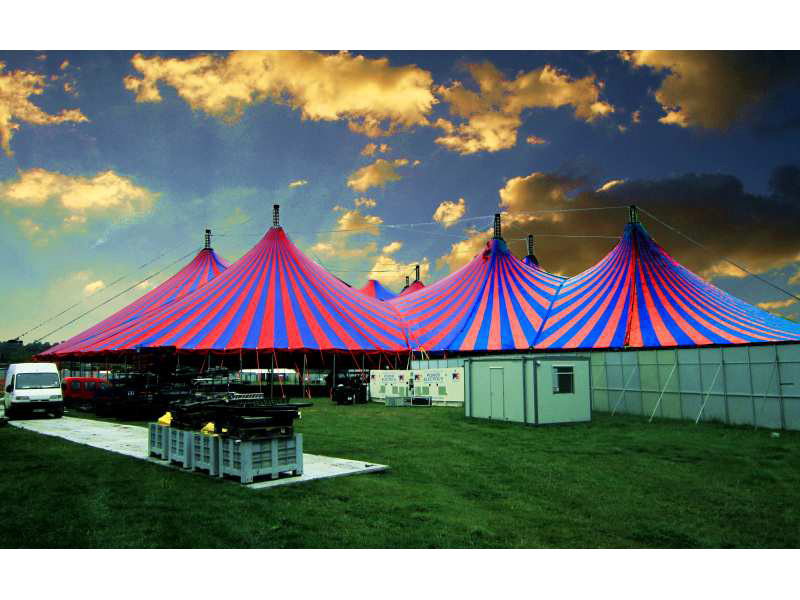 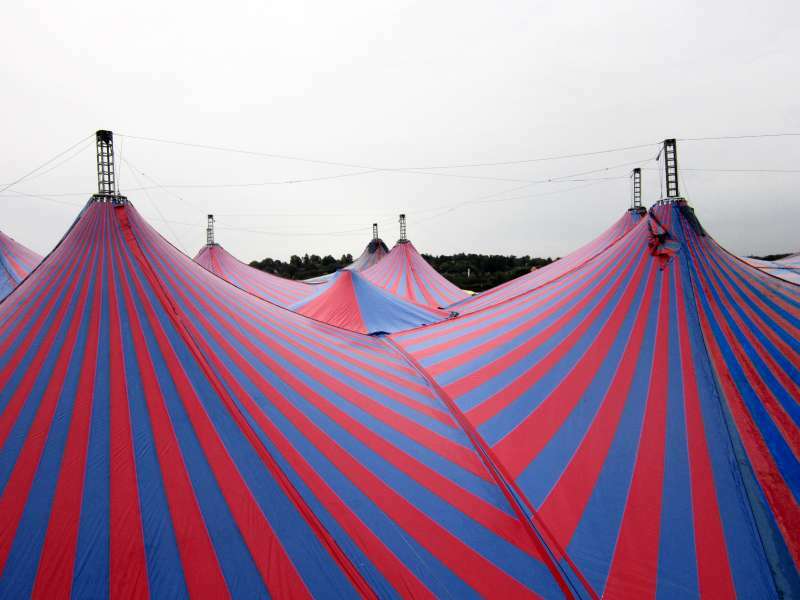 The structure has the largest clear area in front of the stage of any portable structure available for hire. 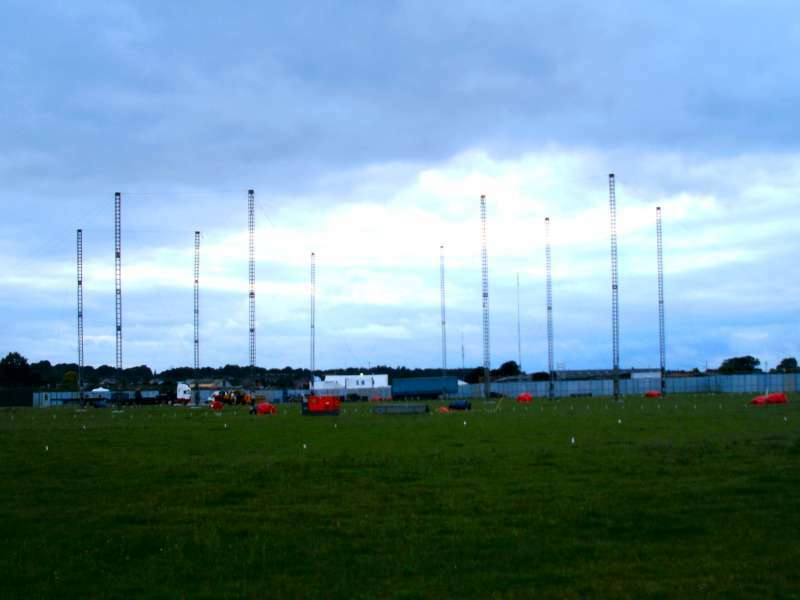 The six King Poles in front of the stage form a 50 metre (164 feet) circle with a clear distance of 62 metres (200 feet) in front of the stage. 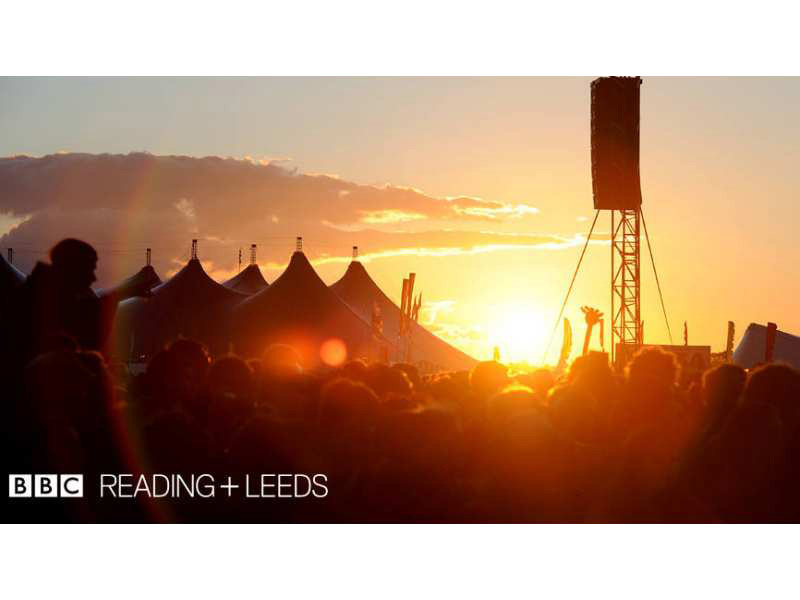 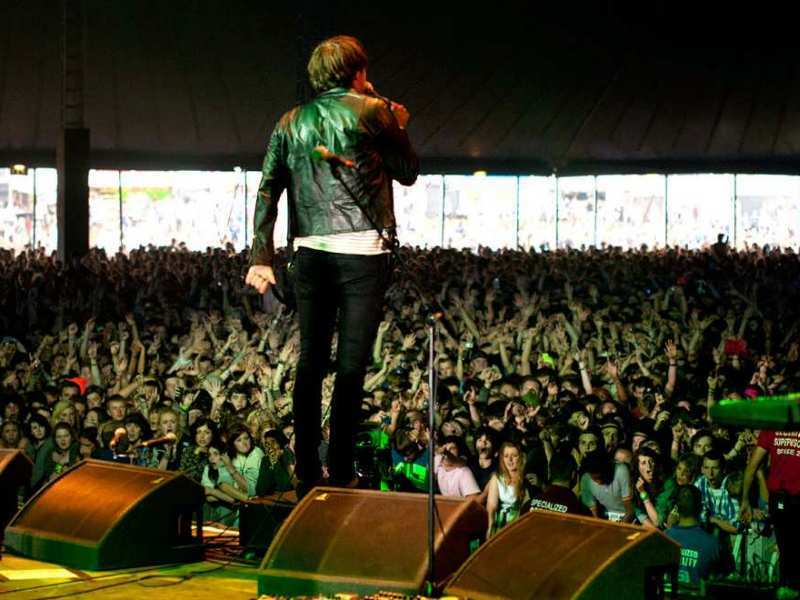 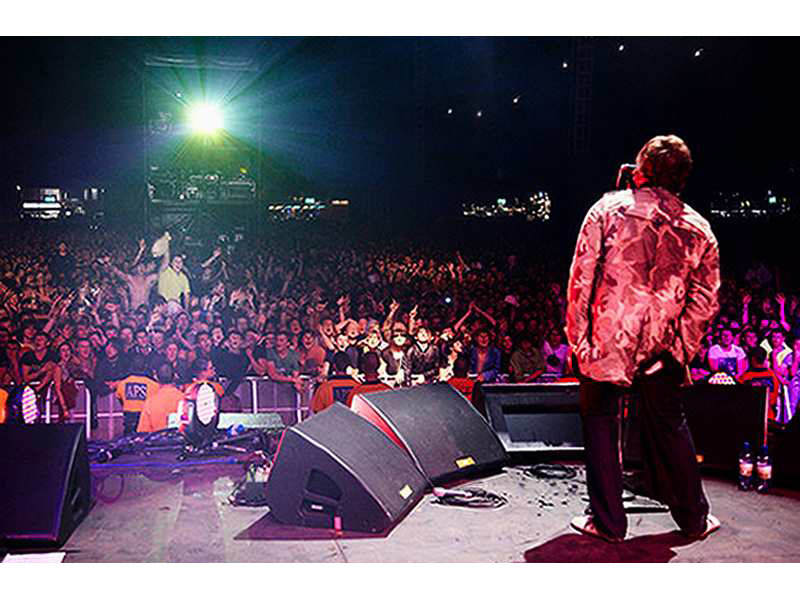 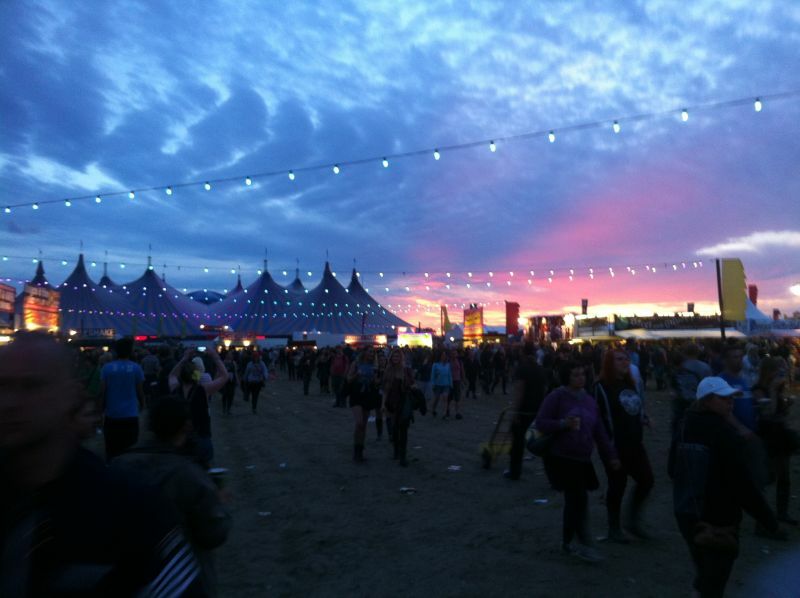 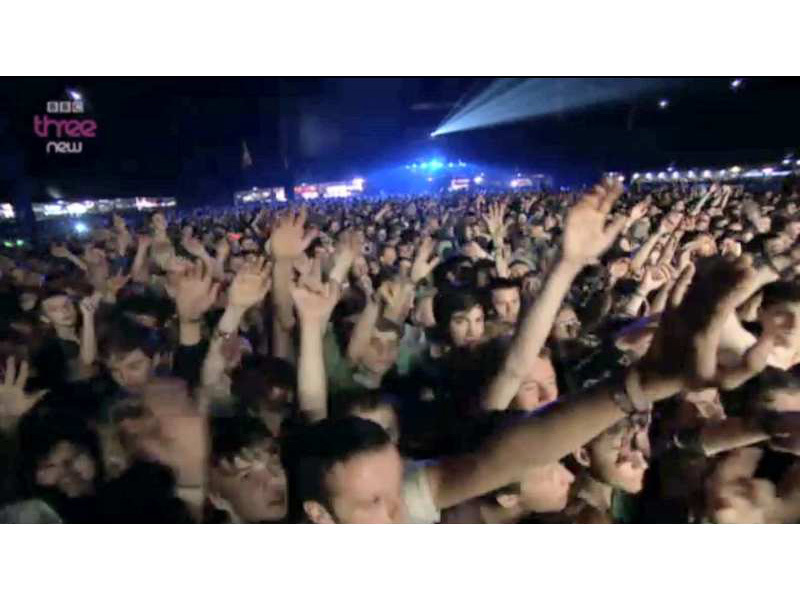 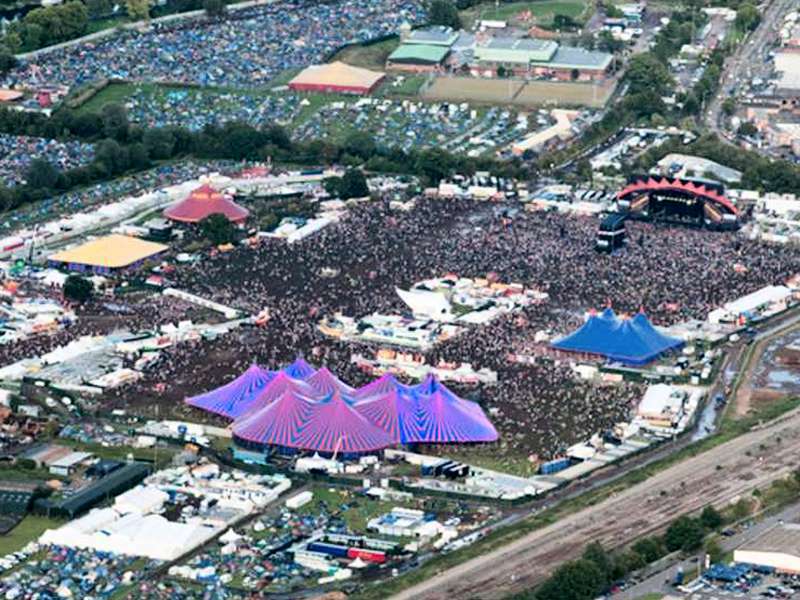 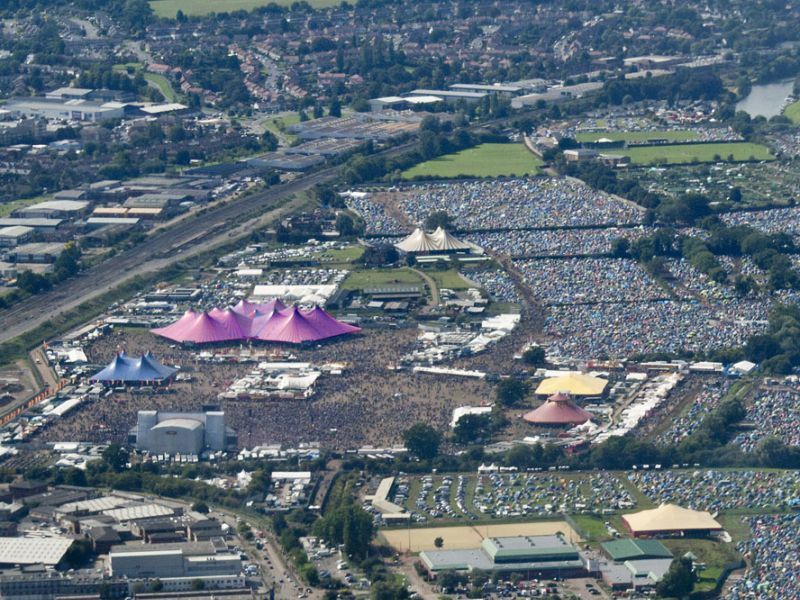 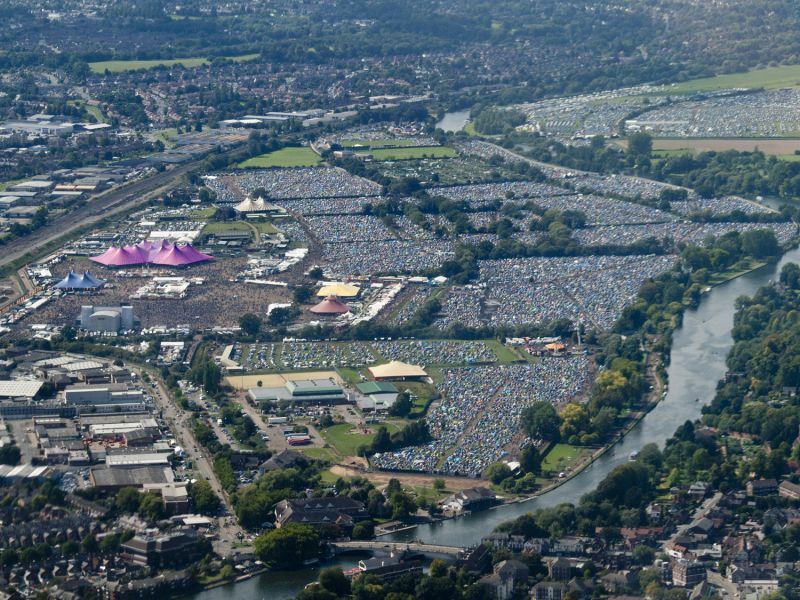 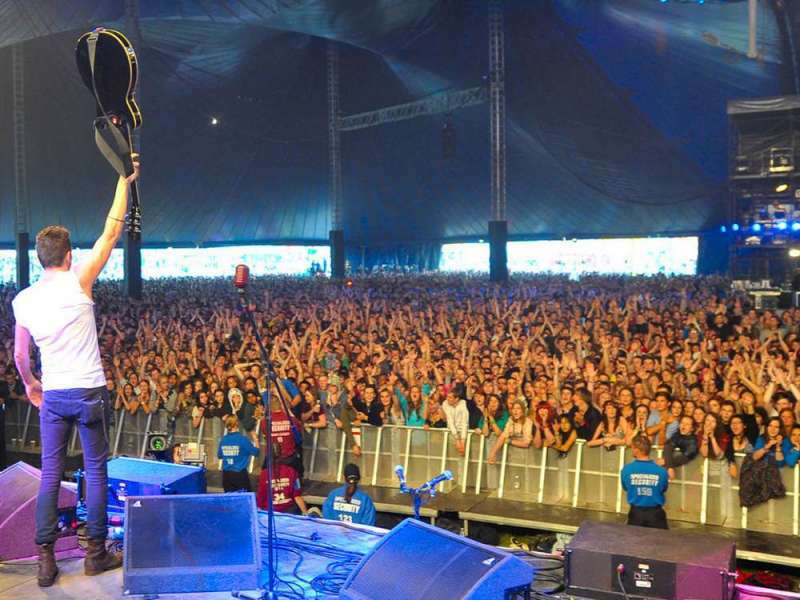 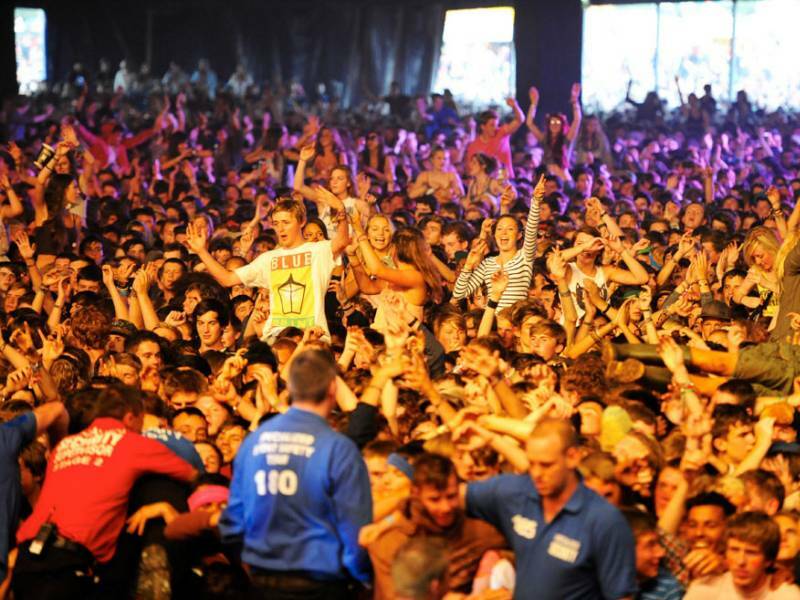 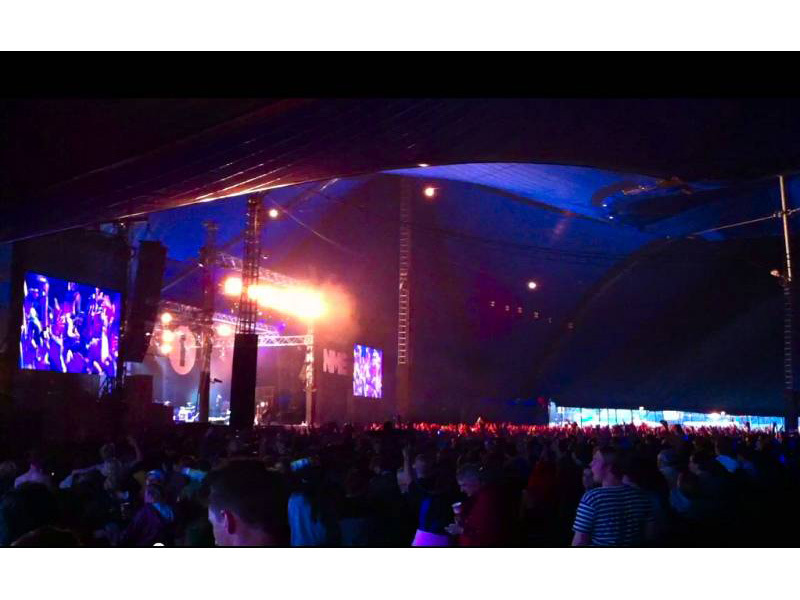 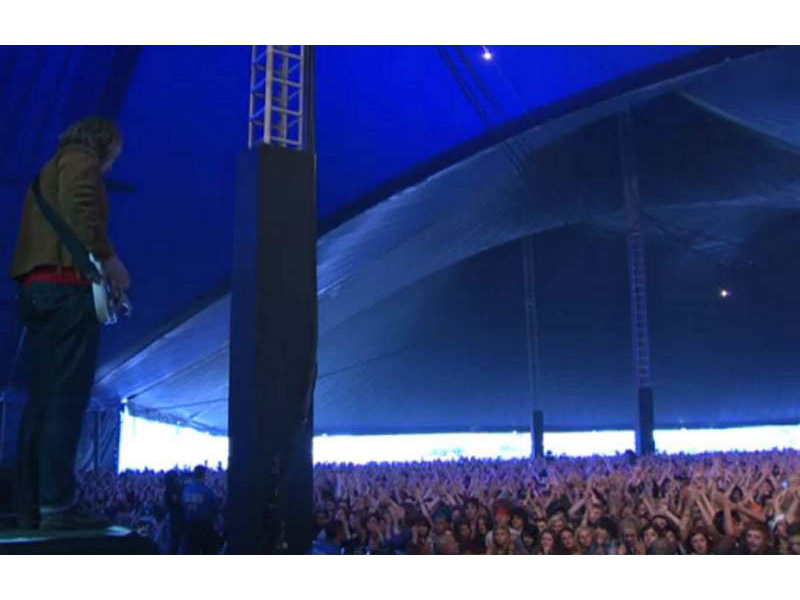 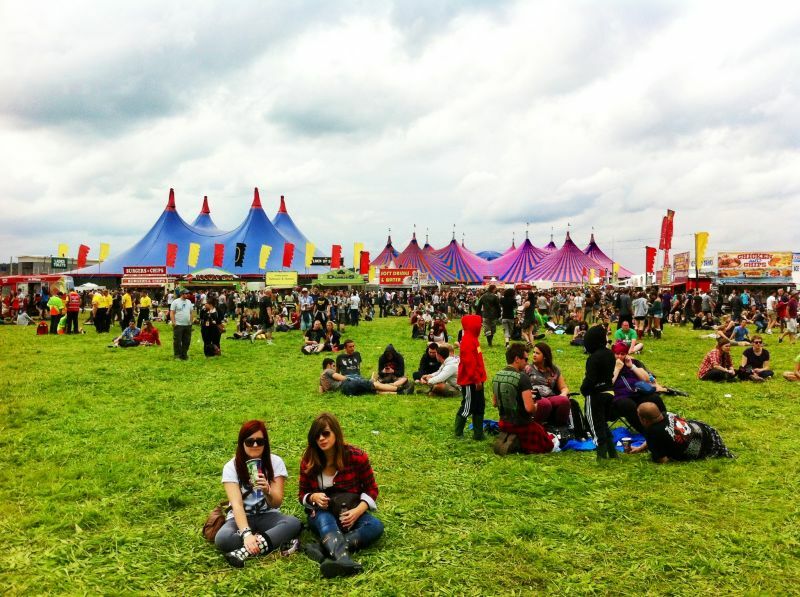 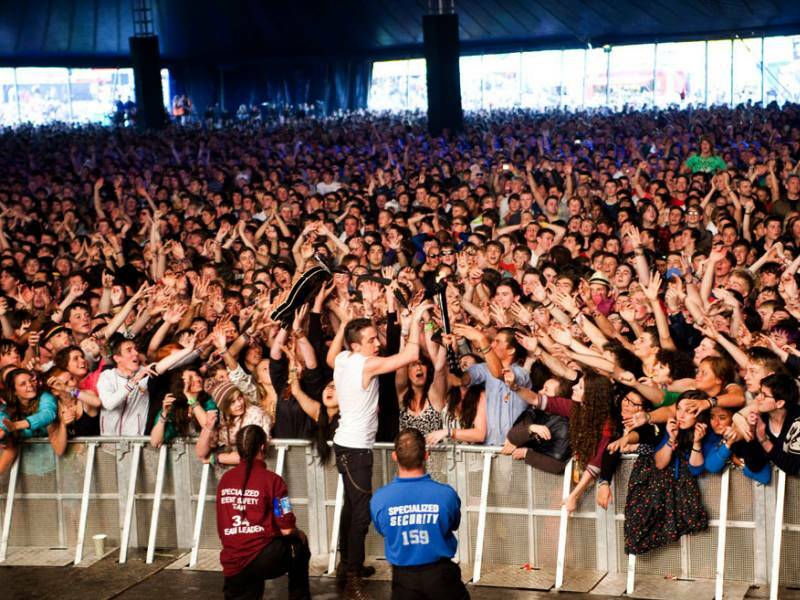 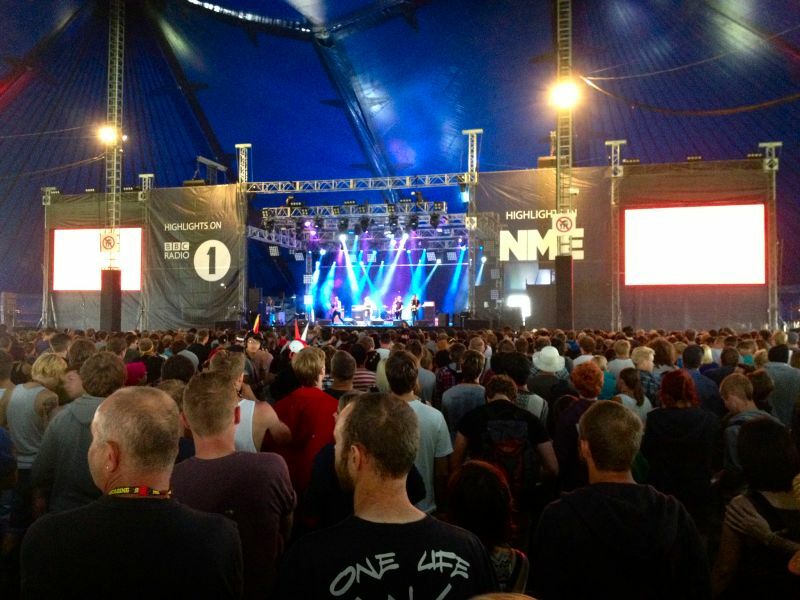 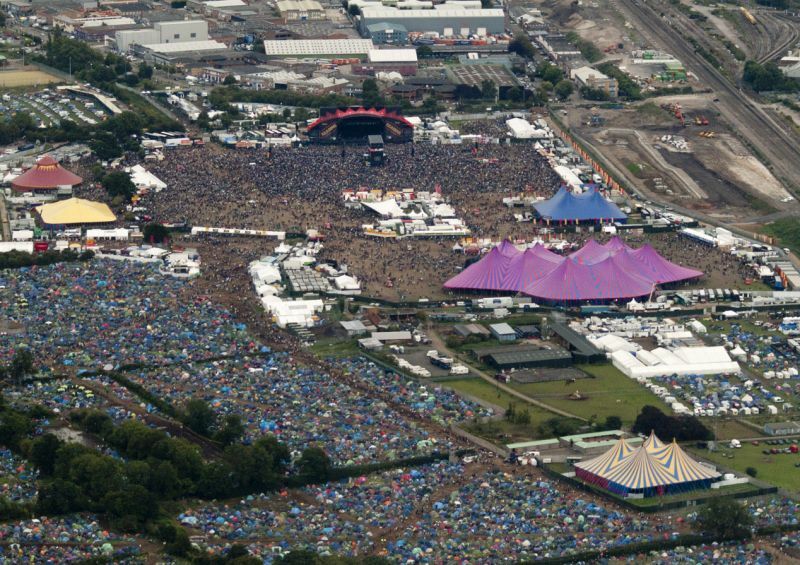 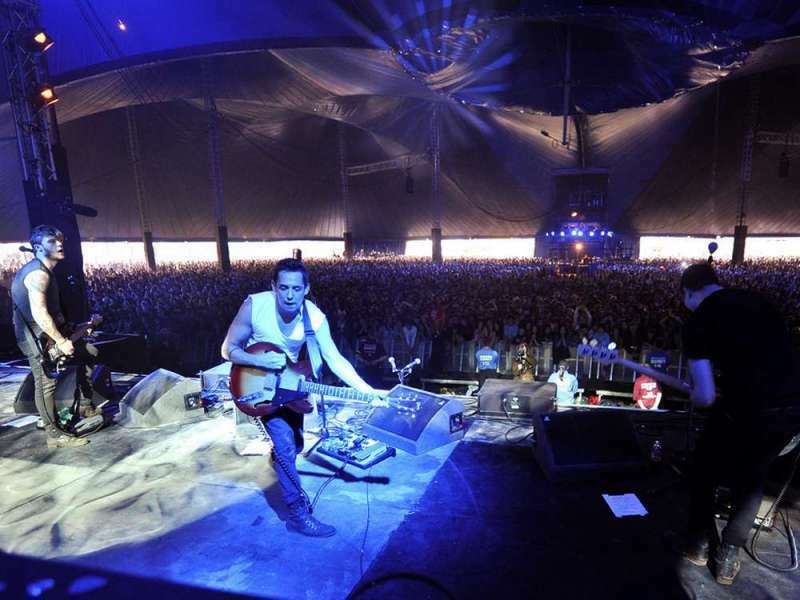 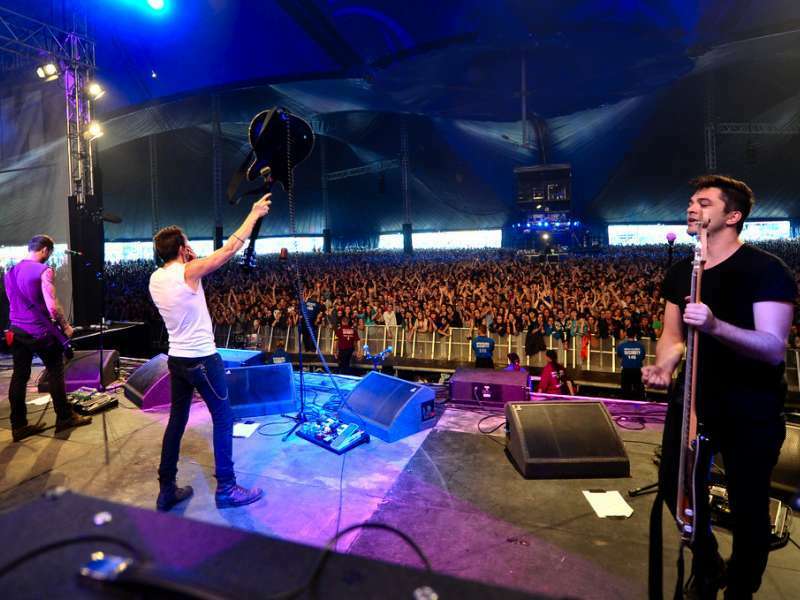 At the recent Reading Festival there were more than 20,000 people enjoying a clear view of the performance.